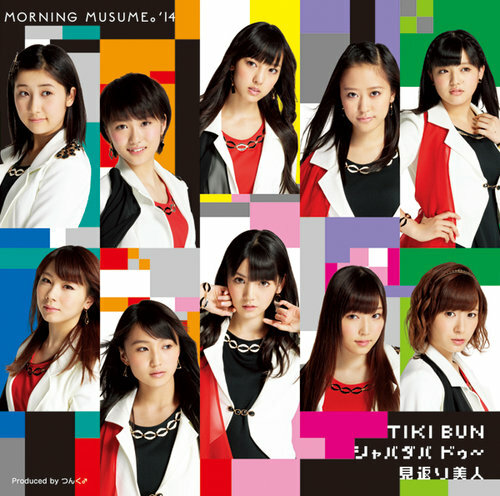 Today the covers for Morning Musume’s upcoming single ‘TIKI BUN / Shabadaba Doo~ / Mikaeri Bijin’ have been revealed! There are two regular editions and four limited editions! 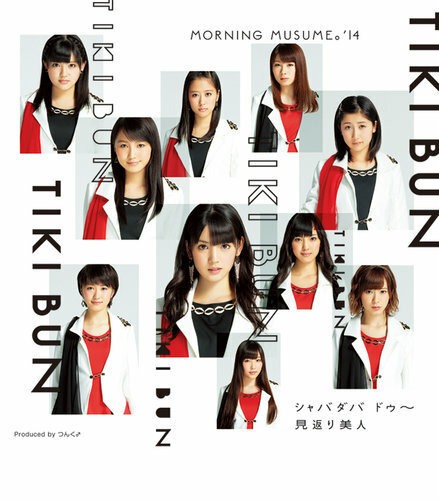 Regular A cover with the TIKI BUN outfits! Looks good, not special though. Kind of surprised they made Mizuki’s pic so small, especially compared to the others. Limited A, again the TIKI BUN outfits! It’s quite a busy cover with lots of color going on… All the members look nice, although some look a bit awkward. Not sure what’s going on with Masaki’s expression? Looks like the red outfit from the concert is definitely the outfit for Shabadaba Doo~! A very cute and cheery cover, perfect for Sayu! Reminds me a bit of Kare to Issho no Omise ga Shitai! 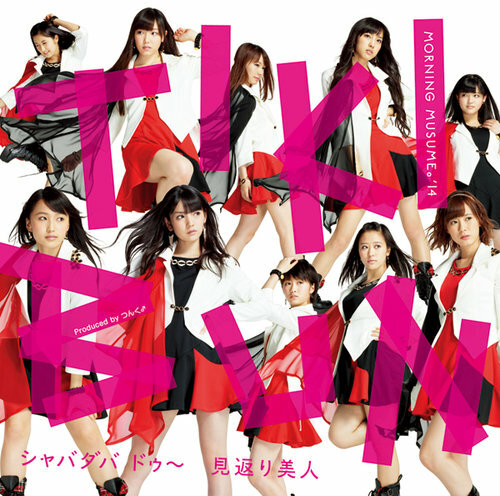 Limited C cover, I’m guessing these are outfits for Mikaeri Bijin, which makes me really curious about the song! All the girls look quite pretty, Sayu looks gorgeous in a red kimono. Hers is the only one whose red, which I guess is because Mikaeri Bijin is only 9th + 10th + 11th gen? Lastly, the Limited D cover. 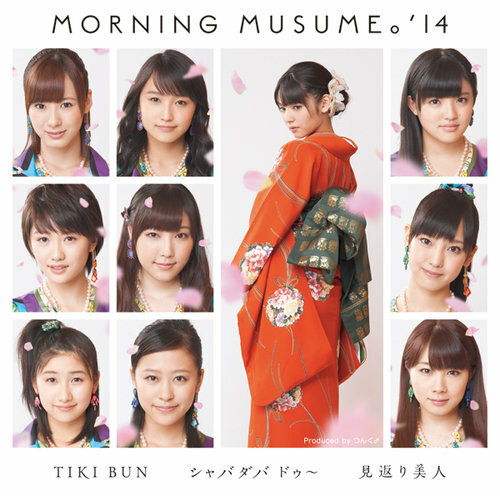 It features the girls in the TIKI BUN outfits, I love how they did the song title on this cover. It’s big, but not too loud. The girls look great too! Overall, I’m really surprised by the quality of these covers (I’m still traumatized by the Wktk covers I guess)! All these covers are at least good quality! My favorites are the Regular B and Limited D covers… Guess I’ll have to figure out which one to buy! I really love it! 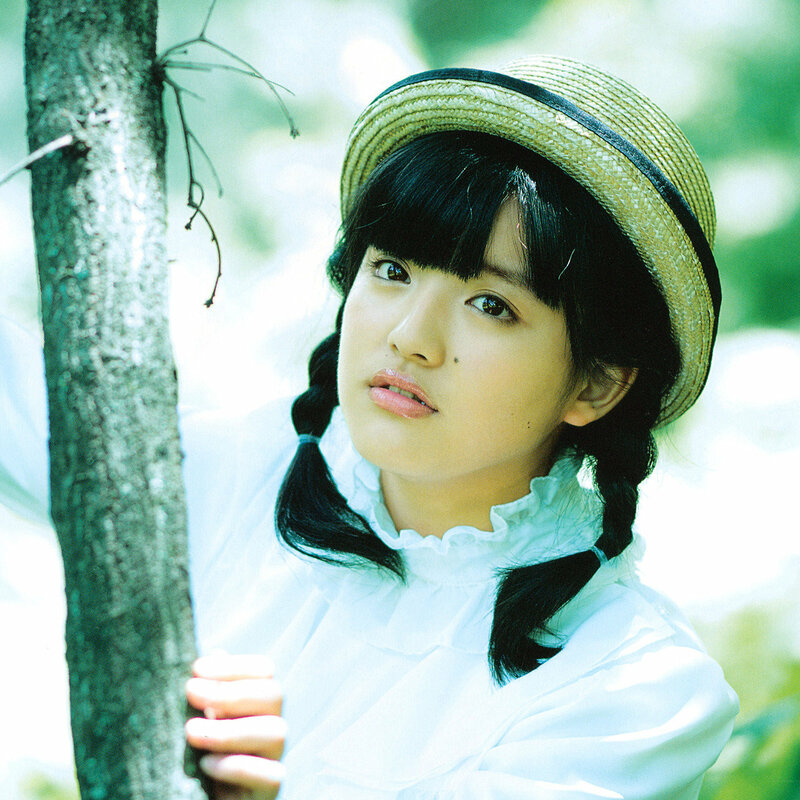 It’s a very cute and dreamy song, perfect for Sayumi I think! I can’t wait to see the MV for this~ I’m hoping for something like Perfume’s Spice MV, but I can’t expect too much… Hoping we get a preview of Mikaeri Bijin soon as well! That’s it for now!